We’d love your help. Let us know what’s wrong with this preview of The Last Supper by Deborah Fletcher. My book is my life and soul on paper. I thought weight loss surgery would give me a life where I'd be accepted by society because I wasn't accepted as the morbidly obese girl. I thought I'd find love and peace and success through being Slim. I underwent weight loss surgery with no therapy or psychological assessment in 2002. Weighing nearly 300lbs. In eight months I lost My book is my life and soul on paper. I thought weight loss surgery would give me a life where I'd be accepted by society because I wasn't accepted as the morbidly obese girl. In eight months I lost 170lbs and went from invisible to centre Stage literally. I was a singer in a band and I went from the big girl in the band to the slim and very visible. The reality was I was the same messed up person on the inside complete with excess skin and health complications. It took me 10 years to become my own therapist without support. I went through depression and contemplated ending my life many times. Full of overwhelming thoughts of self hatred and not being good enough. In the first 10 years after weight loss surgery, abusing food was no longer an option for me so I unknowingly started cross addictions, Binge drinking, excessive shopping, dysfunctional relationships, strong painkillers you name it I replaced food with these other addictions. Then my life took a turn and I discovered the law of attraction and began to heal and I started to believe in myself. I challenged and overcame self limiting beliefs and achieved things that I had only dreamt of. I use meditation, positive thinking and self love to replace those old addictions. I am not perfect and neither is anyone else. 15 years on I am happy and I know I am worthy and I am enough. I am blessed with a wonderful husband who grows with me and loves me for who I am. He is my biggest cheerleader and the love of my life. I have beautiful children and grandchildren who are my blessings. Now I am a weight loss warrior, I help over 1000 weight loss surgery people by supporting them and sharing my truth and baring my soul every day, in return they love and support me right back. My Facebook group is called the emotional side of weight loss surgery support group. My belief is based on my experience and the experience of others, surgery is merely a tool and therapy and ongoing support are vital to ensure your journey stays on the right Road to success. To ask other readers questions about The Last Supper, please sign up. 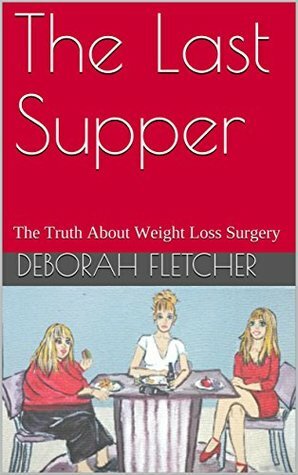 Deborah Fletcher sincerely wants people to know what they are getting into when they decide to have weight loss surgery. In her book, "The Last Supper", she puts it down in black in white that this life journey is no joke. I strongly recommend anybody thinking about having this type of surgery to read this book first. Weigh it out to make sure this is the best choice for you. 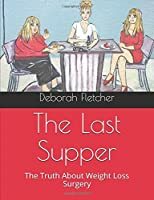 Though it was a ten year struggle to finally reach a day that Deborah felt normal and OK, the surgery healed her from the Deborah Fletcher sincerely wants people to know what they are getting into when they decide to have weight loss surgery. In her book, "The Last Supper", she puts it down in black in white that this life journey is no joke. I strongly recommend anybody thinking about having this type of surgery to read this book first. Weigh it out to make sure this is the best choice for you. Though it was a ten year struggle to finally reach a day that Deborah felt normal and OK, the surgery healed her from the inside and out.